Whether merited or not, any securities action against you or your company is unwelcome news. Win or lose, the process of defending yourself against the litigation can be exhausting, overwhelming, and damaging to your company’s reputation. And should you lose, you’re looking at the potential for enormous penalties and damages, not to mention ruined careers and even the prospect of criminal allegations to follow. Securities law is one of the most complex, extensively regulated, and closely monitored areas of law. Business people suspected of misconduct, breach of fiduciary duty, or fraud become piranhas – both within their corporations and in the broader community at large. An effective defense requires extensive experience with these types of cases. Your lawyer needs to have a top-to-bottom understanding of how securities law works, and a real strategy for winning the litigation: either through negotiation or an outright victory in court. Most business owners, officers, and advisers would agree that securities litigation is something you simply can’t afford to lose. Speaking from decades of experience in prosecuting and defending these cases, we would agree. 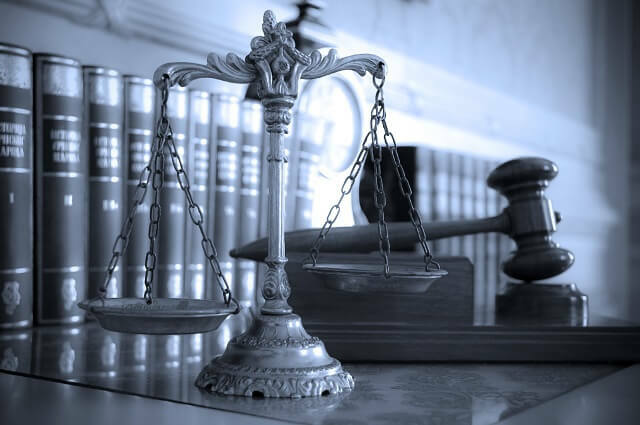 We have served both on the criminal side (first as federal prosecutors and later as defense attorneys), and in civil actions (where we both pursue and defend against securities litigations). Oberheiden, P.C. is a transactional firm that serves clients nationwide, with substantial experience in federal securities litigation, shareholder litigation, regulatory investigations, federal enforcement, internal corporate investigations, and more. In particular, we have specific experience in securities litigation as it relates to health care practices and other businesses in the medical industry. Below, we look at some of the most common issues in health care securities litigation and how our office can help. Who Gets Sued in Securities Litigation? A “fiduciary duty” is the highest standard of care under the law, and it exists when one party is expected to maintain the utmost trust and confidence of the other. In the corporate context, fiduciary duties typically exist among partners, agents, advisors, and trustees, etc. this breach of duty caused plaintiff to suffer actual damages or harm. betraying the company by providing disadvantageous insider information to a third party, etc. Securities litigation frequently includes an allegation of fraud, but in practice, this particular accusation is difficult for the plaintiff to prove. That’s because fraud requires more than just misconduct; the misconduct must also be intentional. Moreover, the party alleging fraud must plead their case with particularity, specifying the “who, what, when, where, and why” of the purported fraud. Fraud allegations, however, can attract the attention of other government agencies like the SEC or CFTC, potentially giving rise to criminal misconduct charges. Why Clients Choose Oberheiden, P.C. Some other law firms represent many kinds of clients in many kinds of cases. But that’s not what we do. Oberheiden, P.C. is narrowly focused on defending clients against allegations of misconduct, wrongdoing, and fraud in matters relating to health care and/or securities law. Our attorneys have decades of experience with these highly specific and complex legal issues, and we believe our backgrounds as former federal prosecutors lend us unique insight into the best ways to win a case. That’s important because securities litigation carries the risk of millions of dollars in damages, penalties, lost profits, and even being forced to pay the attorney’s fees for the other side. We know how much is on the line, and that’s why our entire office consults together on each case as a team. We don’t fight for “okay” outcomes; we fight for the best possible outcomes — every step of the way. If you’re facing allegations of corporate misconduct, breach of fiduciary duty, breach of contract, fraud, or any other securities litigation matter, please contact our office right away. We’re here for you, and we believe we can make a difference in the outcome of your case. Federal & State Securities Lawyers – Oberheiden, P.C.